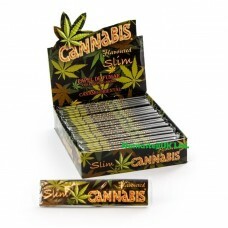 Hemp flavoured cannabis leaf pattern themed tobacco dry herb smoking rolling papers. One booklet contain 32 leaves. Full Box of 25 Booklets. Features Cannabis leaf theme pure hemp kingsize rolling papers.